May 25, 2018 — Comments are off for this post. Besides being equipped with a sparkling personality, Dana Dijkgraaf is the proud owner of a blooming graphic design studio. Her enthusiasm, expertise, and entrepreneurship are reflected in the attention to detail in her designs. In 2017, she participated in the In4nite project — and she will be a part of this project again this year. Dana: “After my graduation from secondary school, I was extremely conflicted as to what study to choose. I really wanted to be a vet, but when I learned that being a vet means being confronted with people who treat their animals in a different way that you would like to see and hope for, I opted for my other passion next to nature: sketching and image making. My drawers were filled with sketch books, collages, and typography. It turned out to be the right study for me. I graduated in 2013, and because I couldn’t find a job as a graphic designer right away (this was largely due to the economic crisis), I took up an internship to expand my experience and portfolio. By the time I finished as an intern, I had already started to establish a small customer base that consisted of some minor requests. It was just enough to start my own business. In thinking of it, I really grew into having my own business. I think we tend to underestimate our role as designers quite often, which is more important than we often give credit for. It was during my studies at the academy that I became aware of the position you can take as a designer; not only do you design and make products, but you are also actively re-shaping the world with your perspective and innovative ideas. Dana: “I suppose I am somewhat of the odd one out within the in4nite project; unlike the other participants, I’m not a product designer. So I guess my approach to this project was a bit different than theirs. Normally I create a concept based on a story, starting with a mood board or a theoretical concept. But because the focus was on the material in this case, I started the In4nite project by sketching shapes that were inspired by the structure and the possibilities of the Colback material. I used the translucency of Colback to research the possibilities of layering, for example. My departure point was to make everything I could think of from my own perspective as a graphic designer. I really wanted to approach the material from a graphic design point of view, and let the Colback determine the story-line. After the sketch phase, I experimented with different kinds of printing techniques, such as silk screen printing; perforated printing; and digital printing. I applied different colours and researched techniques of sewing, binding and coating. I printed the material with a flatbed printer; a very big printer that moves around the material, whereas the material itself stays in one place. Dana: “What I really like about graphic design, is the possibility to work with all these different kinds of people and companies. Not one day is the same — I love to dive into their stories, their worlds, and contribute to their mission and vision with my own acumen as a graphic designer. I really like to create things. When you start from scratch in forging a concept, everything is possible. To keep the inspiration flowing, I visit museums and read magazines on design, nature and philosophy. They feed me with new insights and support me in creating ideas and working out visual stories. In my opinion, there is one designer in particular who represents the cream of the crop; his name is Stefan Sagmeister. My dream would be a collaboration with him — you might say he is one of my heroes in the design world. His vision and view of the world is of great inspiration to me; he purports a unique perspective on the world through his designs and really can surprise you in a sparkling way. Dana: “I would love to explore more materials, and also possibilities for collaboration. I really appreciated the enthusiasm of Low and Bonar, and the openness of this very big company towards working with designers. One big plus is that the Colback material was made abundantly available. I also loved the freedom they gave us to explore the material and to create at our own will. The entire experience of having started from an investigation into the material and ending up on Dutch Design Week was very enlightening. May 22, 2018 — Comments are off for this post. Thinking through design is a practice-based method to solving problems. In short, it offers different perspectives that allow us to reframe the problems we are dealing with. The In4nite platform is aiming for new collaborations; appealing designers that want to apply their skills into making the world a little better. We possess an abundance of accessible knowledge; high performance materials; and the desire to work together with innovative talents. We would like to exchange and expand on the possibilities that we have already experienced in the first year of existence of the In4nite platform. We see a lot of potential in the research and exploration of our materials by designers. The In4nite project positions itself as a lab, in which we explore the possibilities of future applications. In order to do so the In4nite program will be working with a group of designers again this year. 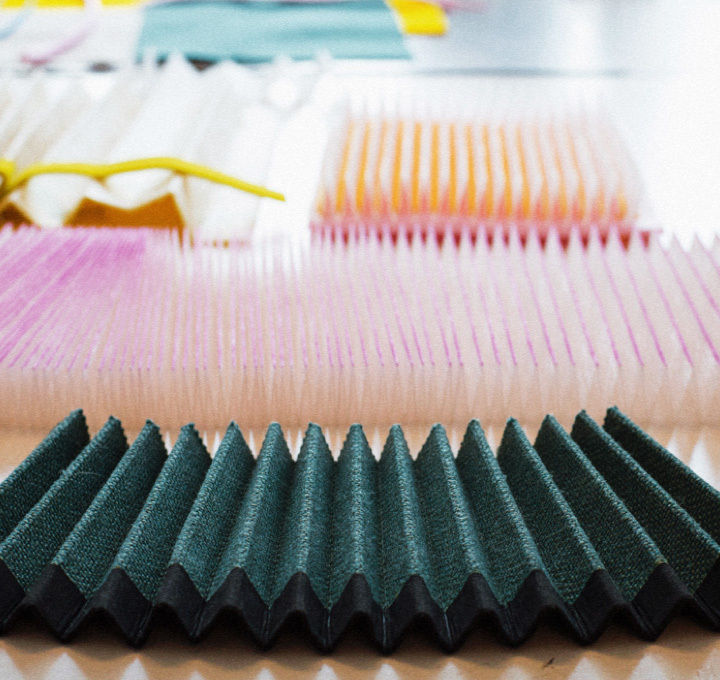 The end results of the material research will be presented at the Dutch Design Week 2018. In order to grow as a platform and to explore new possibilities, we are looking for new design talents to join us creating change. 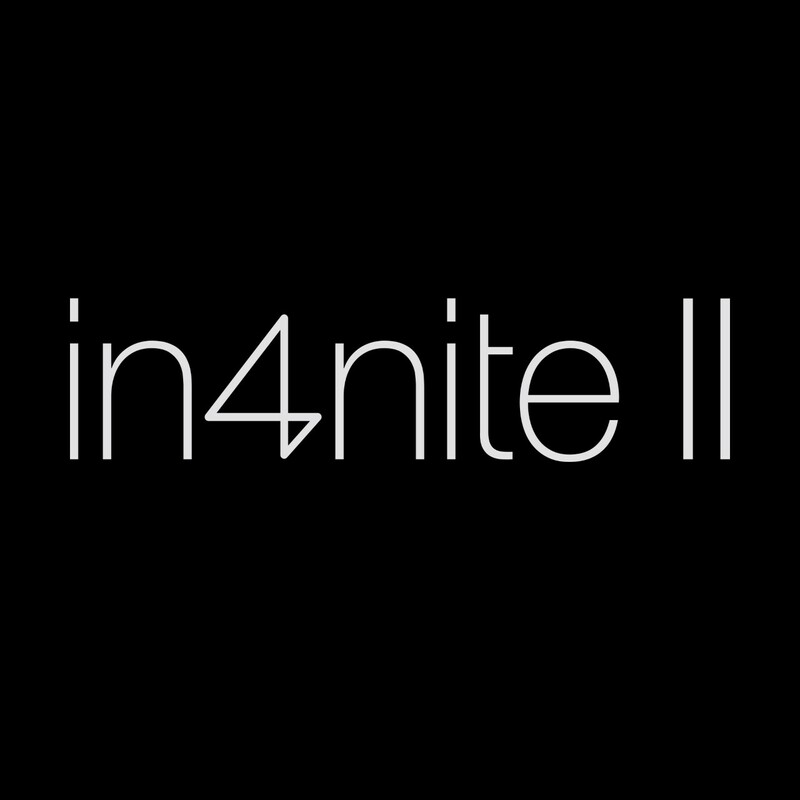 Are you a designer and would you like to be a part of In4nite? Add your expertise and collaborate to our platform, re-imagining techniques and materials. Let us know about your proposal, or send in your portfolio: get in touch with your ideas and enquiries! We are looking forward to be hearing from you. May 8, 2018 — Comments are off for this post. The first edition of In4nite marks the introduction of Colback as an aesthetic substance. 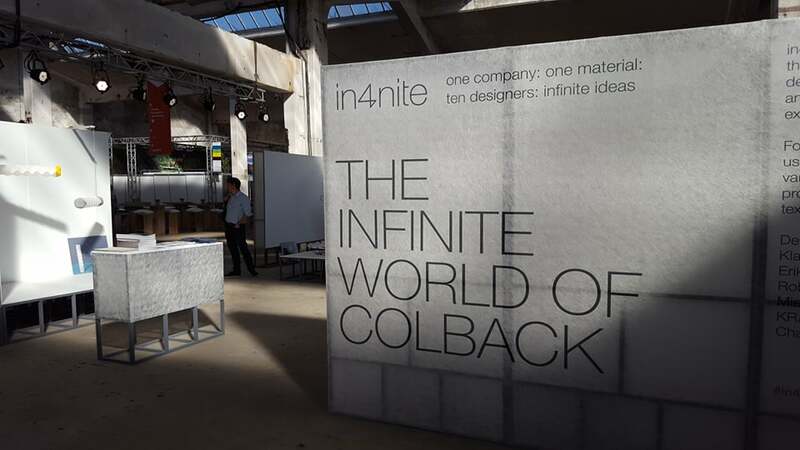 Initially an invisible material, the In4nite project has transformed Colback into carefully designed eye catchers. The designers have found different ways the material, and to transfer its distinct characteristics into a design. They have visualized the intrinsic properties of Colback, and made them tangible. We also know that Colback is transparent, and this characteristic is often used as Colback quality verification tool. 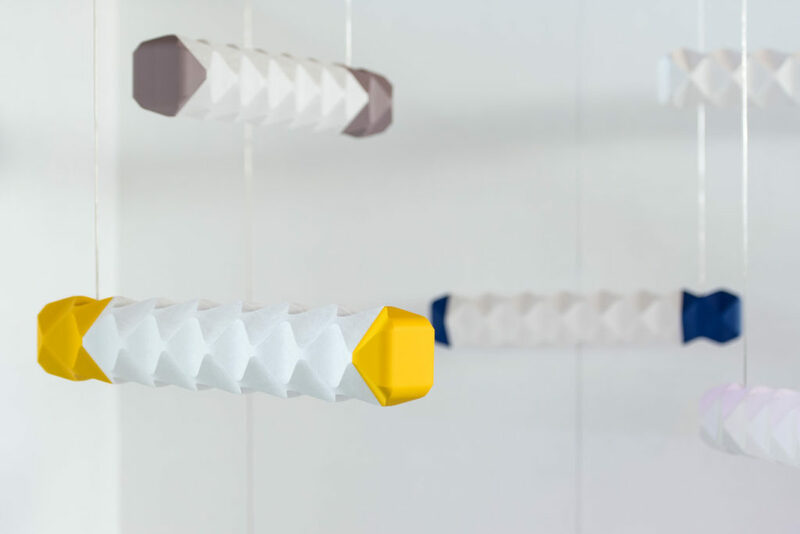 Erik Stehmann has been able to utilize this characteristic in a functional and aesthetic way by designing a lamp. The slight translucency of Colback, and the way in which the material transmits light, is a new and fascinating feature. An ordinary lamp creates shadows whenever its beam of light is obstructed. This is due to the direct light that the lamp emits. Colback, on the other hand, emanates a very diffuse light, which results in the absence of shadow. If you were to you put your hand under the Rilly Nice Lamp, no shadows would appear, as Colback breaks up the rays into a diffuse sort of light. Imagine what this could do for your workspace! This design also plays with the light weight of the material by distributing the weight of the lamp off-balance; nonetheless offering a sturdy design. Its light transparency means you can place a LED light inside. Erik has combined all these characteristics of Colback, known to us for many years, into a single, innovative design. Designer Rick Tegelaar has integrated techniques with design aesthetics. By applying Colback bi-component yarns in a 3D printing technique. Here, the bi-component fiber is melted to create 3d structures, in addition to a pleasing aesthetic performance. 3d printing also makes it possible to strengthen the material on very specific points. It is a perfect example of the ways in which designers can transform qualities that we are already aware of into tangible forms. In our current applications, we know that our material can bring stiffness to certain constructions, but it remains hard to visualize that. We know about the pliability of Colback, but it is nice to demonstrate it as wonderfully as this design does. The qualities are present, but In4nite exhibits them in a tangible way. The designers have combined all these aspects into their designs, making us (at Low and Bonar) think differently about Colback and its application possibilities. We see a lot of potential in the research and exploration of our materials by designers. The In4nite project positions itself as a lab, in which we explore the possibilities of future applications. May 3, 2018 — Comments are off for this post. What does it mean to be a designer? As a creator, you’re expected to have an endless supply of creativity in order to find solutions for the pressing issues of the future: how do we deal with the impending shortage of food and energy resources, and how might we use technology to solve our problems? Unfortunately, we all have our limits, and when we have to push ourselves to meet deadlines, that creativity can be hampered. One of the simplest manners to arouse inspiration is to brainstorm about one’s practice and working methods. This might be a bit outside of your comfort zone, but it is a fantastic way to understand your boundaries, and to learn new skills and techniques. What about a peer-to-peer conversation that might offer some reflection? Or an interview? Or even initiating a regular meet up with other designers to talk about about what inspires them? Monitoring your design process affects one’s analysis, evaluation, development, and eventually the communication of ideas. Each of these resources can save you from getting stuck in thought patterns and provide new perspectives on your work. To get the conversation started, we have gathered three quotes that consider what it means to be a designer. Let go of the assumption that an idea for a design is complete. Before you can gain the creative freedom to experiment, you might need to kill your darlings first. In addition, mapping out a line of thought that facilitates the production of more ideas can contribute to a richer design process and eventually, a quality product. The ways in which we think things through forms the context of the design solutions we offer, thus affecting expression and organization. Don’t simply go out on a job hunt whenever you need work. To keep the financial pressure off, and your creativity flowing, you could do yourself a favour by developing some business skills. Even when your dream isn’t to open your own successful design studio, establishing yourself as a free-lance designer is all about being and staying noticed. According to Rick Tegelaar, a business mindset should come natural to you as a designer. If this isn’t the case, it is advised to seek mentoring and tutoring in order to learn how to develop your business. Networking is still the number-one way to find job opportunities, and if you want to be in pole position, you need to grow your business skills. People like to offer jobs by recommendation, so why not gather some recommendations on your professional Linkedin account, for example? Challenge yourself. Read, draw, write, sleep, then repeat. What stimulates your flow of ideas? The most important thing in designing is the intrinsic motivation to challenge yourself, and to not simply perform the same trick over and over again. Think in different techniques. Invest in a wide range of skills. Feed your curiosity by trying new things. By pushing your boundaries, you will find new inspiration. Do you want to try something new? Or do you have something you would like to discuss with us? Get in touch to explore the possibilities! April 24, 2018 — Comments are off for this post. Colback is a material with a strong dimensional stability. For Erik Stehmann, the best way to turn this into a 3D product was by experimenting with folding techniques. By creasing the Colback, its fibres can be weakened locally, controlling where the material folds. By developing a computerized creasing technique, it became possible to make rounded creases. Erik eventually designed a pattern that effectively creates a tube. Due to the applied folding methods, the tube itself bears the strength of a thick wall. The final result is a strong, lightweight and visually attractive cylinder, which forms the base of Erik’s Rilly Nice lamp series. A small interview with this inspiring designer. Hi Erik, thank you for taking the time to answer a few questions! First things first: what inspired you to be a designer? "Well, as a teenager I didn’t think much about the future; I was only concerned with building my mopeds. My parents advised me to study engineering, and since I was very good in construction, science, and math, I thought this was the best option for me. I didn’t give it a lot of thought actually, I just went. After a few years I became quite bored with car mechanics, and around the same time I moved into my own apartment in a student flat. When my flatmates caught sight of the things I made for my room (literally everything in it, from the table, lights, and couch to the bed) they encouraged me to apply to ArtEZ University of the Arts to study product design. Within a week I decided to quit my studies and took up a course at the design academy. I graduated in 2009." You designed the ‘Rilly Nice Lamp’ with Colback, could you tell us something about the designing process? "First I researched what Colback is used for, and what it is made of. I quickly discovered its strength and durability when formed into a three-dimensional shape, and I wanted to work with this quality in the design. 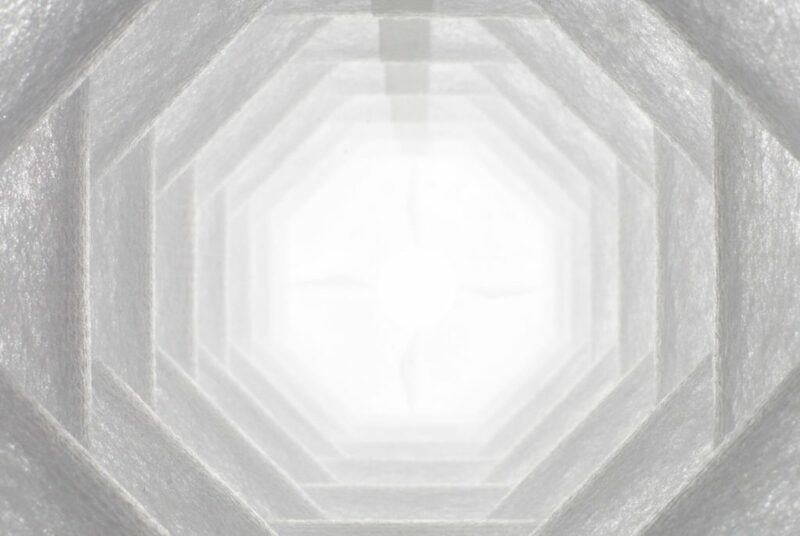 I began folding the material in order to experiment with its characteristics. It soon turned out however, that Colback isn’t suitable for folding. Not in a nice way, anyway. It works the same as with paper: if you damage paper by folding a line, you alter the structure of the paper, making it weak at that point. That was the opposite of what I wanted to achieve. So we began to apply creasing techniques, and that worked out pretty well. We then made a grid and started to bend the material in rounded creasing patterns. In doing so, we created a tubular form of the Colback." "The way In4nite approached this first project was a best case scenario for me; they gave me a material to work with and a carte blanche to do with it whatever I wanted." Interesting, so you discovered the tube structure by using a grid. Did you use the tubular form to create the final design for the lamp? "Actually no, because when we first discovered this tube structure there were flaws in the design, creating weak points in the material. We eliminated this problem by applying creasing techniques that rounded the lines. This generated an entirely new structure, which is very lightweight and sturdy. In researching this new tube and its lightness, I played with the balance by placing weight on one end. I thought: how nice would it be to design an off balanced lamp?!" You make it sound as though you are on a playground when designing. Is this how you work? "In the most optimal case, I can explain every single detail of a design: why it has a certain shape, and why it carries the features it does. Hence, the design becomes the result of a logical process. I can justify every step of the way and give reasons for the choices that we’ve made. This goes particularly for the qualities of the materials that are used, but can also be assigned to, for example, banter or boredom. Small frustrations and relatively small problems that I make bigger, and then try to solve. There is always a sense of humour or an element of surprise in the things I create. In this particular design for example, you can find a sense of humour in the title: ‘Rilly nice lamp.’ And there is that element of surprise because it is off balanced and relies only on one wire."" In your opinion, what is the difference between the process of a designer and that of an artist? "I believe an artist doesn’t think in a commercial way. I tried not to think about the commercial aspect too much, but I still enjoy it most to construct a design that becomes sellable and producible. I love to solve technical puzzles. And I love to consolidate all these elements of ideas, design, and technical solutions in my work. Having an idea is one thing, but the process of creating something is another story, and usually the final product turns out completely different from your initial plan. However, I want to make clear that I never begin a project with the thought: ‘I need to make money with this.’ "
"I think the most important thing is to want to challenge yourself, and to not simply do the same trick over and over again. You need to push the material and yourself. Think in different techniques. You need a wide range of skills, the curiosity to try new things, and ultimately, dedication. When I want to build a boat, I make one, just because I want to. I have that urge to create you know. There is an intrinsic, personal motivation to design. It always begins with something small, then rapidly grows more complex by the day. And before I know it, I want to get it into production." In4nite has a very different approach compared to starting a design from scratch on your own: there was a deadline and a fixed material to work with. Why did you join In4nite? "The way In4nite approached this first project was a best case scenario for me; they gave me a material to work with and a carte blanche to do with it whatever I wanted. The chance to get to work with new materials is always a nice thing, especially when the material is not readily available. It gives you the opportunity to challenge yourself, and to discover new techniques and methods. Besides that, I really do enjoy to have a material as the starting point for my design. I want to let my hands do the thinking, allowing my eyes and brain to follow." "I love to solve technical puzzles." As you are aware, we didn’t know what to expect when we started with In4nite. Now that we are focussing on the future and making new plans, what would your advice be? "Clearly, this first edition concentrated on the designing process. The time that was available for this design comprised three months altogether. However, the invention of the tubular structure was made within a week. I believe that, if we were to take another three months to further develop this technique, it could become interesting for the global market. I’m thinking for example about applying this technique to irrigation systems. In short: focusing on the technical developments would be a great idea, it has more potential to it." "Also, I have found a company that is interested to further develop my design and take it into production. I have two meetings in the next month, and what I would like to see is an extension of the perfect support that was offered by Low and Bonar during the designing process, applied to the production process. It would be great if an active connection is established with companies, for example. But I don’t know if that is possible. " Are you a designer and would like to know about the possibilities of collaboration? Get in touch! April 16, 2018 — Comments are off for this post. For designer Joris de Groot, materials and techniques are the key sources of inspiration for designing. 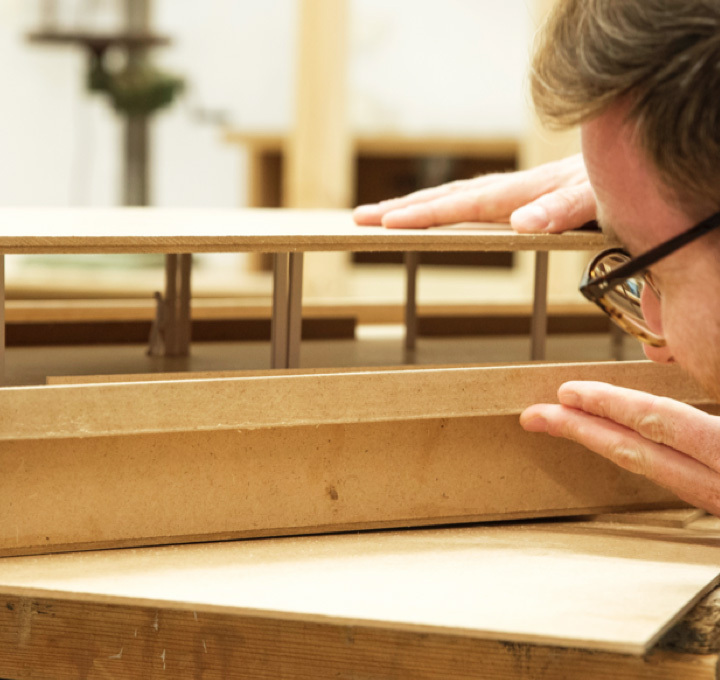 Joris obtained degrees in both industrial design and product design. 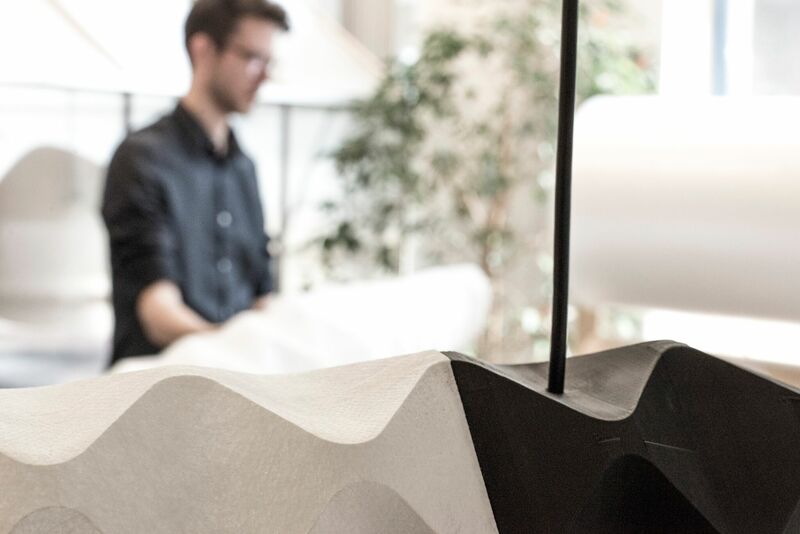 Whereas product design departs from the material, industrial design focuses on engineering; the combination of the two studies fits Joris like a glove. By using his vision and knowledge of materials, Joris combines aesthetics with new techniques in his designs. Joris: I start with the materials, and gather knowledge about the production process and the techniques that are used by visiting the factories. In that respect, In4nite is a great opportunity because it fits my design approach perfectly: we started the project with a tour of the factory, providing the necessary insight into all the techniques and materials available. I love to explore new techniques and to examine the properties of materials, asking myself the question: “How can I use it in a different way?” There are so many different and special techniques, most of which are exclusively hired by factories. You rarely get the chance to just go there and delve into the possibilities. When In4nite invited me for a collaboration, they literally opened a new door, offering a wealth of opportunities to gain new knowledge. I felt really supported by the Low and Bonar company. They encouraged us to explore and research their material. For example, I’ve worked with three factories to complete my design: the laminating factory, the pleating factory and the Low and Bonar factory. All three factories were big resources in material use and techniques. I do not get my inspiration from social media or books. What gives me the most inspiration is to just visit a new company where they use materials and techniques I haven’t seen yet. I contact those companies and, if possible, pay them a visit. I find production processes incredibly interesting. When I'm in a factory for a day, I sense and see the possibilities; I know immediately what kind of design I want to make and how I’m going to accomplish it. After the first visit to the factory of Low and Bonar, they explained the production process of Colback and gave us booklets with information. I found information about the air filters Low & Bonar produces and it intrigued me; air filters are built from layers that differ in softness and strength, but also the pleats are different. 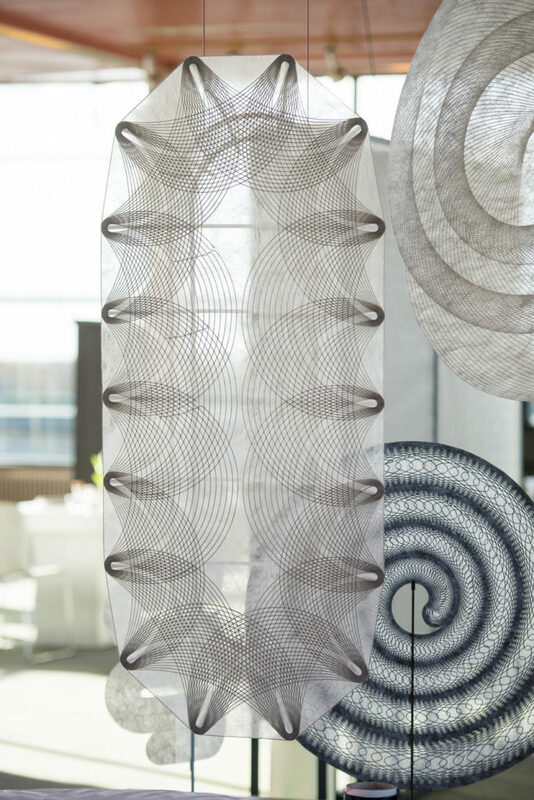 That special technique of pleating and the use of layers in the material triggered me to research these particular aspects. The first idea was to make some new pleated textile which can be used in carpets, for example. I made a lot of different samples with various shapes and strengths. 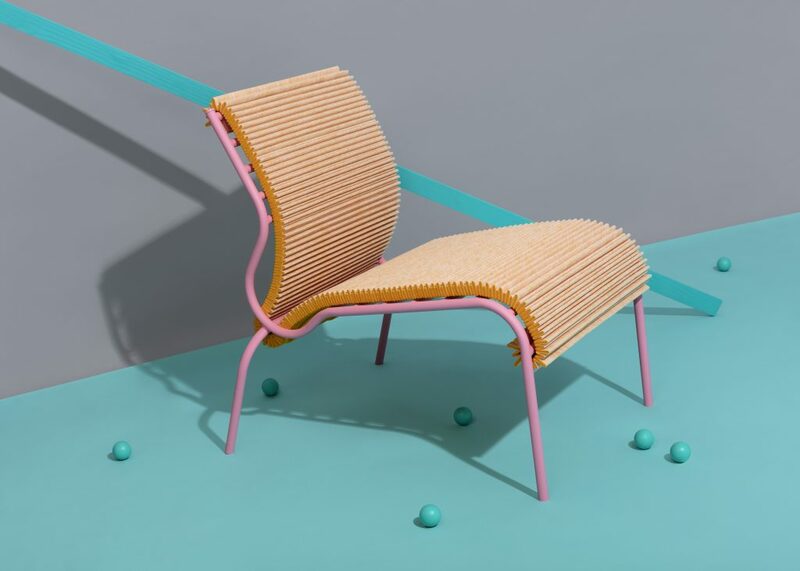 Eventually I focused on designing a pleated chair in which I could combine the pleating techniques as well as experiment with the strength of the Colback material. However, it was challenging to find a factory that wanted to collaborate in the pleating research. You can imagine why: generally speaking, the machines are set to fixed values, producing thousands of meters of the same kind. But I wanted to examine the material’s strength depending on varying lengths and forms in the textile, which meant that the machines had to be set for every few meters. In order to do so, we needed to rent almost an entire factory. Fortunately, I found a factory in Berlin. I received a lot of technical support from the filtration department of Low & Bonar; they were the ones that brought me in contact with the pleating factory in Berlin. And they conferred on the heat and speed of the machines, as well as the pleating process: when I needed certain materials, they produced them especially for me. Because of the technical expertise of Low & Bonar, I had the opportunity to extensively research the material, the techniques and the design. For a designer that’s a very convenient way of working. Because of this combination in education I like to work with the machines in the factory as a craftsman would; I want to explore the possibilities of the materials and techniques. I try to design in advance, but usually all plans are off the table after a visit to the factory, which is when I start over again. For example, I already designed a bench for In4nite in the first instance and I was struggling with how to accomplish this design and how I wanted to shape it. But then I visited the pleating factory and experienced how the material can bend and how it ‘plays.’ This rendered my initial idea irrelevant. Hence, I really work from the material. When I start, I first research the original use of the material: “What is normally made from this material? How is it used? Which techniques are applied?” Then, I focus on one aspect: “Why is it made in this way? Could it be done otherwise? How can I enhance the properties of the material?” I want to show the origin of the material, what its original use is and how it can be applied in multiple ways. I take the existing techniques and the material as a reference and depart from there. When I was a child, I made my own furniture, which I used in my room. And I put quite a lot of effort in making small circus attractions, such as an actually functioning carousel. I was so into engineering and crafts that I attended a technical course for kids on Friday afternoons. I remember how enthusiastic I felt as a kid when the staff of the workshop helped me out with my designs. Now I sometimes feel like a big kid, doing the same things on a bigger scale. When I travelled to the factory in Berlin to work out the design and experiment with the strengths of Colback, it suddenly became so real. I really was going to make a pleated seat! The project became even more serious when we decided to go to the Dutch Design Week and present our design in an exhibition. At the Dutch Design Week I really felt we gave it all. There was such a good energy and a great buzz for the first time in this In4nite project. We received a lot of attention from the press and influential magazines. Looking back, the Dutch Design Week was a good starting point. Because of the effort and hours of research I put into the Pleated Seat, I want to focus on developing the chair further, doing more research and attending more fairs. I want to focus on researching the material and pleating techniques, combining different layers and playing with various strengths. I want to know if the stability is good enough, and how the material will react on actual use. Are you a designer and would like to know about the possibilities to collaborate? Please get in touch! April 5, 2018 — Comments are off for this post. With over 3335.000 unique visitors, 2600 participating national and international designers, and more than 610 exhibitions, the Dutch Design Week is the biggest event in The Netherlands spanning themes of creative collaboration, experimental approaches, new techniques and ground-breaking designs. In our current era of the 4th industrial revolution, material development is an increasingly prominent feature of the annual Dutch Design Week. This proves again that materials determine the future, providing products and concepts that are stronger, more lightweight, and progressively durable and sustainable. In materials, designers can find solutions for the pressing issues of the future: how do we deal with the impending shortage of food and energy sources, and how might we use technology to solve our problems? Low & Bonar’s In4nite project helps to connect the design community to the world of performance materials. In light of innovation, In4nite challenged inspiring designers to reflect their vision on the Colback® material and push its boundaries. 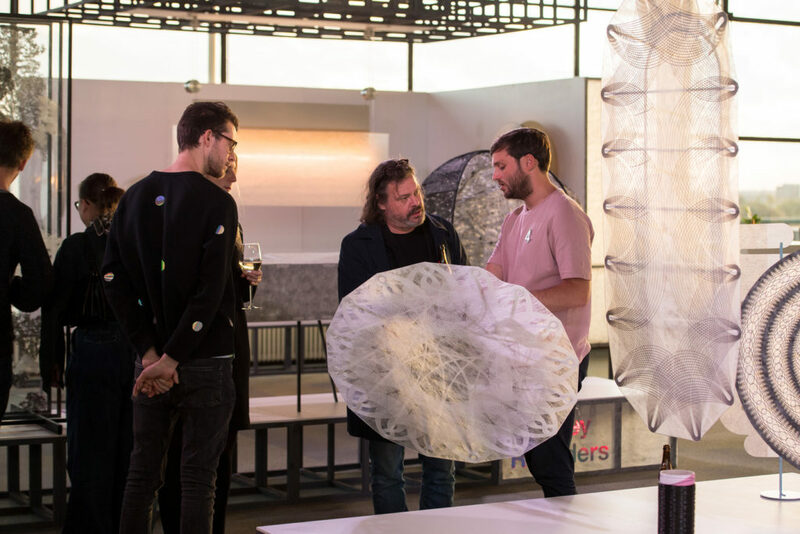 Allowing for the designers to experiment with and respond to the material, the first results of this collaboration were designs presented at the Dutch Design Week 2017 in Eindhoven, The Netherlands. 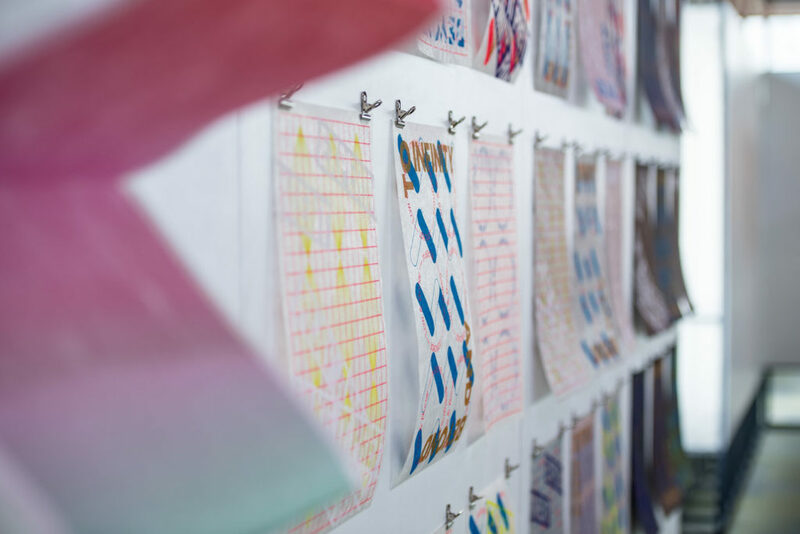 The exhibition at the Dutch Design Week provided an overview of new functional and aesthetic qualities of the material, as well as the designers’ unique vision. 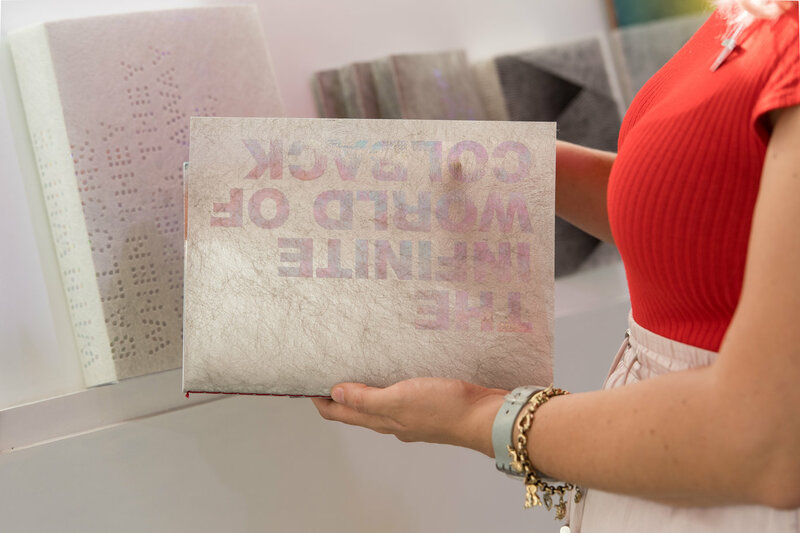 In addition to the In4nite exhibition, there was space for dialogue and debate surrounding Materials & the Future, in which companies, professionals, designers and visitors discussed how smart materials can define the future of product design. This exchange of knowledge and ideas led to interesting discussions and new perspectives throughout the week. “Looking at Colback through the designers’ eyes, Low & Bonar discovered much more about the aesthetic and functional properties of the material. 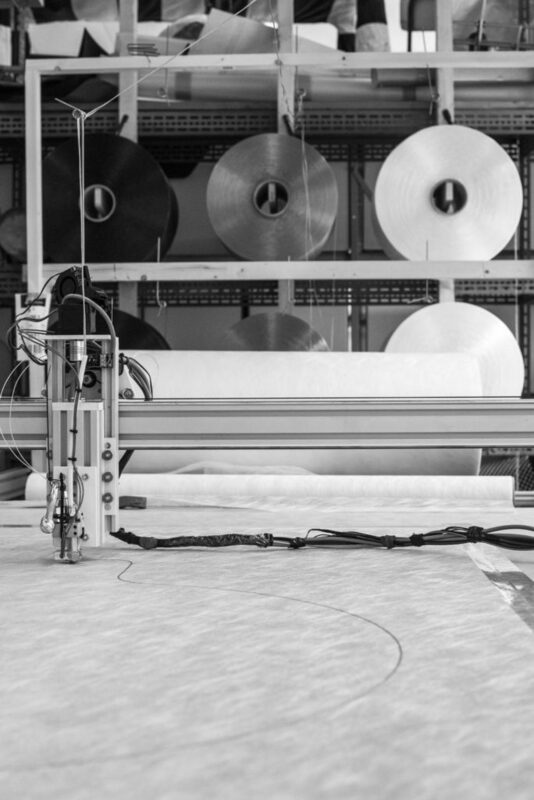 Through lateral thinking, the in4nite project has opened up a wealth of possibilities to apply the textile in the development of new products.” – Low & Bonar success stories. The designers’ ideas for new ways to use Colback included acoustic panels, lampshades and furniture. One designer’s experiments included turning the two-dimensional fabric into a 3D product, which led him to develop a series of folding patterns into a strong yet lightweight tube. Another designer used layers of Colback to create a vertical garden, inspired by the Centre Pompidou in Paris. The completion of In4nite’s first year, including its debut at the Dutch Design Week, kick-started the establishment of In4nite. As a platform that shares the same ideology as Low & Bonar, In4nite aims to make the world a better place, by delivering more beautiful and elegant solutions, whilst contributing to a more sustainable and healthier world. In the perspective of a growing platform, In4nite is always open for new collaborations and ideas. Are you a professional designer and up for the challenge? 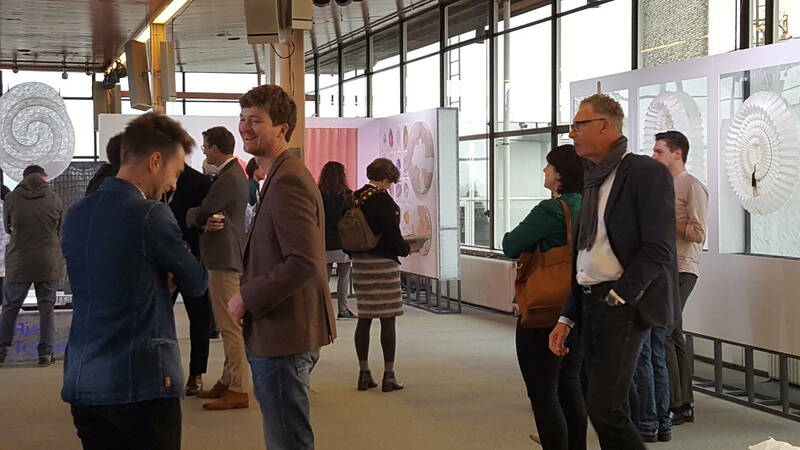 Would you like to be one of the attendees - for example at the Dutch Design Week- ? Contact us and let us know about your ideas! March 27, 2018 — Comments are off for this post. Rick has a background in engineering as well as in industrial and product design. On average, he spends about 50 hours per week in his studio, and more when big deadlines are coming up. His office resembles an urban jungle, with a variety of plants and wires, fabrics and designs draped over desks, and walls covered with drawings of new projects. A conversation about the In4nite project with design explorer Rick Tegelaar. I’m interested in Industrial design and materials, with a particular interest in materials that are highly functional but don’t have any emotional or aesthetic value. When exploring a new fabric, it is imperative that you abandon all assumptions; you may think you know how a fabric will react, but you don’t, you have to observe very carefully. This is my focus in the first phase of experimenting. When we do simple tests like cutting the material, we really study the cut. We take each step super seriously and then we focus and zoom in even further. Before working with In4nite, I had never heard of the non-woven fabric Colback by Low & Bonar. Naturally we wanted to get to know the material, so we started to stretch it, burn it, sew it, and cut it while studying how it reacted. I wanted to fully explore the possibilities and do as many different things to it as we could think of. This approach of getting to know a fabric is similar to getting to know a new person. When you meet someone new, you want to get to know a little more about their character; you want to get a grasp of what that person is like. The same principle applies to material use: what is the material like? How does it behave? By crossing over between different disciplines and processes you can create new techniques, which can be used on the material and yield a whole new range of applications and possibilities. I had previously bought a simple 3d printer to experiment with and experienced a lot of problems with the printing material sticking to the print head. I wanted to solve this with a layer of Colback by utilising the same techniques as used in its production process. Because the printer prints at 190° Celsius the Colback fibres’ outer skin fuses perfectly but the core is left intact. It worked beautifully! As an experiment, we then started printing with Colback itself, using the same principles as in the production process. 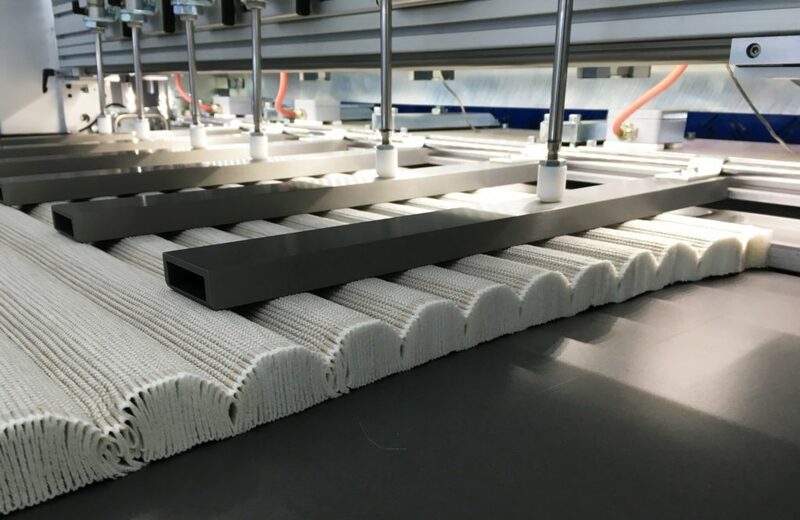 By printing new connections, ridges and eyelets on the existing Colback fleece, we invented a completely new way of printing that utilises the qualities of the material. This represents a whole new niche of printing, which will be very interesting to explore in the future. Looking back, I think In4nite made great progression in the one-year time frame of the project. In the beginning we were just aiming to do some experiments, but then each of the designers had such a promising start that we all felt there was something more there than just exploring the possibilities of Colback in our studios. We decided to take the next step, so we continued experimenting on the material and let the results fine tune our creativity and designs. In the short space of twelve months we went from ‘just’ experimenting on a new material to a successful exhibition at the Dutch Design Week. I think it has been an amazing achievement, especially considering that we didn’t know each other or what to expect when we set out. In retrospect I think the result is something to be really proud of. The success of In4nite had a lot to do with the commitment of the designers involved, but equally important was the bold and openminded approach of Low& Bonar to collaboration with the designers. I hadn’t expected Low &Bonar to be so involved and dedicated to making the project a success. There was- and still is- a perfect balance between the support and freedom that Low & Bonar gave us and the effort and determination of the designers. This mutual engagement and understanding of each party’s input in the project was crucial for success. Although it is beneficial for a company to emphasize the qualities and challenges of a material and to suggest preferred areas of innovation, how the designers carry out their research and exploration should be up to them. I think the company should stay in the passenger seat. It is not driving, the designer is. The designer should be encouraged to take different paths as you don’t want to exclude possibilities that aren’t immediately apparent on the surface. As a designer you need the right mindset to join a program like In4nite. If you want a collaboration like this to be successful, you have to have an intrinsic motivation to see it as an opportunity to work with new materials and grow your business simultaneously. You should be aware that your commitment could lead to the start of a whole new company. The identity and activities of Low & Bonar, the company behind In4nite, are very interesting to me as a designer, because they are active in so many fields and work with a variety of interesting materials. Personally, I love manufacturing processes. I am fascinated by how products are made, and which techniques and materials are used. The chance to work with these materials wasn’t the only great opportunity of this project. The scale on which Low & Bonar produces the materials also made it very interesting to get involved. They are a big company, which means it can be an opportunity to get to know the industry. If your innovation can make a small difference in the functionality or appearance of the material, it can make a big impact on production. If you compare the wish to run your own design studio to running a bakery, you will find the same challenges. But think about this: if you attend a bakery college you learn eighty percent of the skills you need to start and run your own business; while at a design college you only learn ten percent. The everyday reality is that I’m only designing ten percent of the time, the vast majority of my time is spent networking, contracting, ordering, producing and promoting my products. Should schools focus more on business skills? Should they include running a business as part of the designer’s curriculum? I used to think so, but I’ve changed my mind over the past few years. Because most programmes only last four short years and to become a good designer in such a short time is challenging enough as it is. It is a personal profession, and to develop your skills in such a limited time is very hard. If you would have to complete a business training element during your studies, it is my opinion that it would reduce the development of other skills that a designer needs. I think that if you want to open your own studio, a business mindset should come to you naturally or you should attain the specific skills needed in addition to your designer courses. If you have a problem with networking, for example, find a course to help you develop this skill. I approach my business with a design way of thinking. If a problem arises, how can we fix it? If we have an issue at the studio, we work together on a solution. Sometimes it’s just about meeting that one person or finding that one connection. My advice to beginning designers would be: approach your business as a design. Are you a designer in possession of a Rick-minded spirit? Would you like to explore the possibilities of a collaboration? Please send us an email at in4nite@lowandbonar.com, or fill out the contact form at the footer of the website.